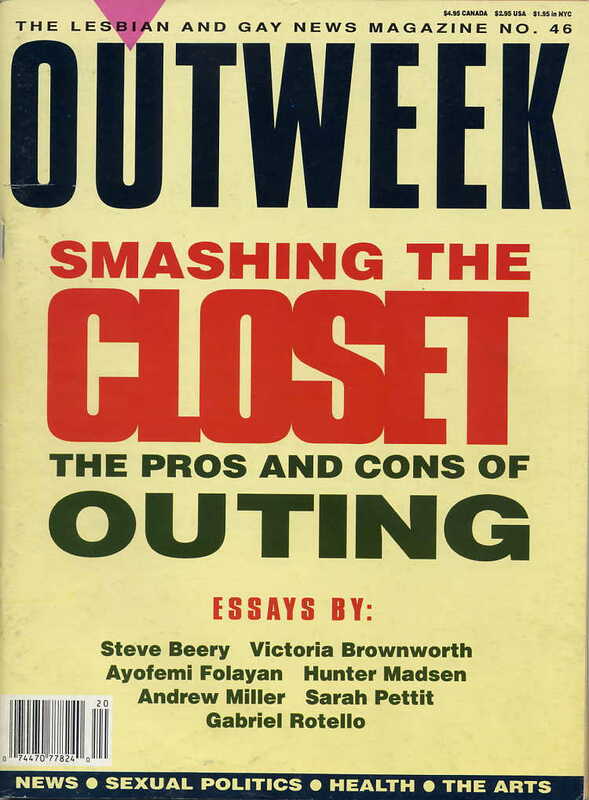 Taking up the challenge to figure out what “outing” means in the context of Walker is Chris Geidner at DC’s MetroWeekly. Geidner, a frequent contributor to MetroWeekly and blogger at LawDork who interviewed a number of people–including me–on the meaning of Walker’s “outing.” Its a great rundown on what people are saying in light of the revelation. Is this outing? The views on whether it is or is not are, well, are as plentiful as the colors of the rainbow. Is this newsworthy? As a fellow judge and friend of Walker’s reportedly told the Chronicle, while laughing, ”Yes.” Although some have suggested otherwise, the judge wasn’t alone. Will the revelation matter? It’s not yet clear what impact Sunday’s column will have on the trial, where closing arguments remain to be heard by Walker. Also adding to the conversation is Lisa Keen at the Bay Area Reporter who points out the “outing” of Walker was done with no one speaking on the record and a “no comment” from the judge. She also points to how the issue was handled in San Francisco’s press. Some media organizations, like San Francisco’s gay newspaper Bay Area Reporter, say the Chronicle’s column constitutes an outing—or involuntary revelation of a person’s sexual orientation. Others, like San Francisco Weekly, say it doesn’t. At True/Slant, Kashmir Hill interviewed her colleague David Lat about why the folks at Above the Law, which is famous for its biting legal gossip, decided not to report Walker’s sexual orientation. I didn’t really. I’m uncomfortable outing people. I also had journalistic concerns. I only had the story from one source, for example. I’m not sure why I find [outing people] distasteful. One issue is that there may be a difference between outing a judge and an elected official. People who have outed officials have done so saying it matters because they are voting on legislation that affects gay people…. If I had had half a dozen sources…. Maybe. It’s interesting though. It seems like everyone was waiting for someone else to make the definitive declaration. Even in the San Francisco Chronicle, it’s not clear who their sources are. How is anyone supposed to know what lies in the recesses of someone’s hearts — or loins – anyway? As Kashmir points out, Lat had no inhibitions about running with the “outing” once someone else had done it but Lat was like most in the old and new media who waited for someone else to report it before reporting it themselves.